Before assigning an item to an Organization, Item should have been defined in the master org. 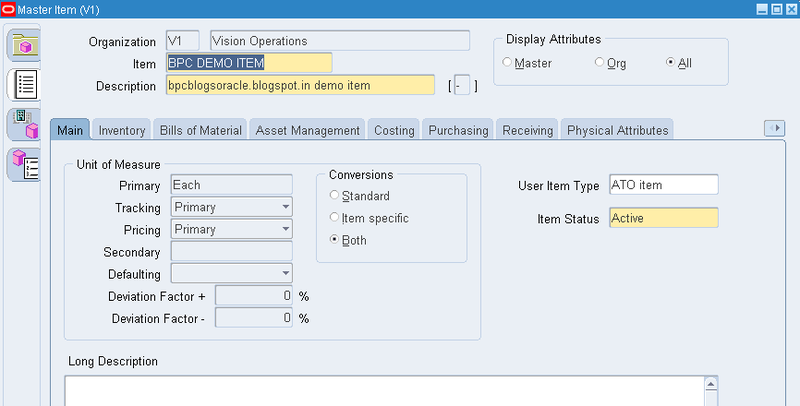 If Item has already been defined in master org, then follow the steps to assign it to an Organization. 1. 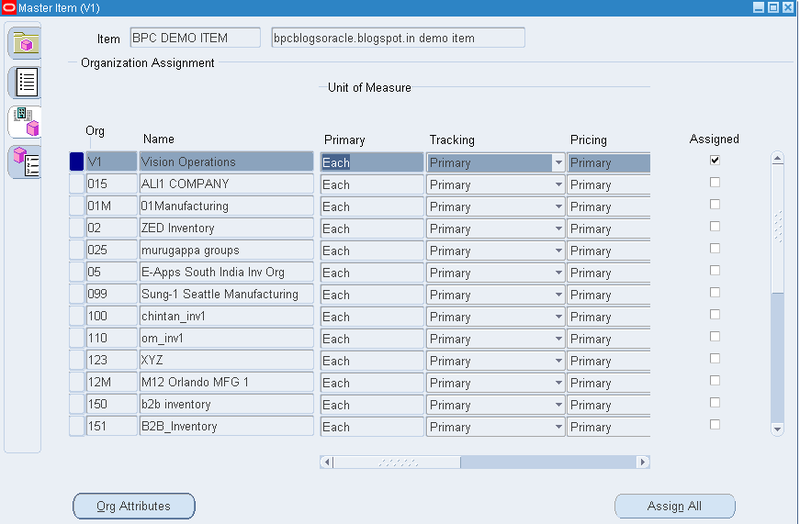 Go to the Inventory responsibility. This will assign this item to that Organization. 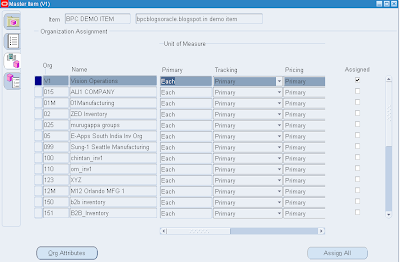 Now you can query this item in that specific Org and if needed you can change the organization specific item attributes for the item.